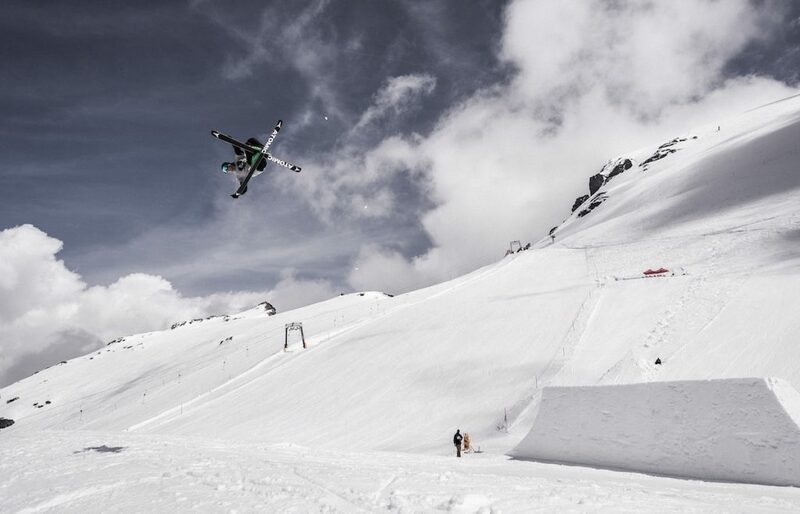 For the upcoming ski photography exhibition in the bar, we asked some questions to Gianmarco Allegrini, the young gun photographer in Engelberg. Vernissage 1st December 2018, from 4 pm. See you there! Name, age and where you are from? What is your connection to Engelberg, when did it become a destination for you personally? – My Family have a winter vacation apartment up here in Engelberg, so that means I used to come up here to ski since forever with my family. I love the mountains and the view you get up here, so that made me go up every time I was off work. After hours of train-travelling and car drives, I decided to move here and into the apartment. In time I got to know some nice people and we skied all day and every day as much as we could. So that’s how I am living here for 2 Years now. When did you start skiing and what inspired you to choose skis instead of another “hobby”? – Haha, I went skiing the first time when I was 3 years old. My parents took me to ‘Klostermatte’ in Engelberg. Since then we went skiing every year for many weeks, more and more I fell in love with it. It’s the speed you get, kinda feels like flying down the mountain. That’s pretty much what got me into skiing. And when I went to school, my friend showed me a ski movie called ‘Being there‘. It was just stunning we watched it whenever we could! Ski movies and the artwork all around the present on the mountain are making you wanna go out there and be creative. When did you start photographing and with what gear? – 7 Years ago. I’ve got this DSLR Sony alpha 66 for Christmas. I didn’t really feel like doing this until now, but for some reason, I brought the camera everywhere so I ended up bringing it on the mountain too. What gear are you using at the moment? Imagine you could get a brand new camera kit and accessories, what would it be? – Good question. It’s actually not all about the gear. Every gear has it’s own silver lining and the goal is to combine it with the object in front of your lens. It’s about how you use the gear. Depends on what I’d be working on, but for the sports photography, I would probably wish for a Nikon Z7. But I’m happy with the gear I got right now. When is/was Engelberg’s “golden age” in your opinion, why do you think so, any memories attached to that statement? – In my opinion, Engelbergs golden age is a looooong time ago. During the night I am working in bars and that got me interested in the hotel business lately. So I did some research and went to museums and stuff and have to say I would really love to live in a winter-season back in 1950, or somewhere like 1930. The hotels and the village were very classy and the standards very high and I would just love to go there to compare today’s Engelberg with it. A little bit weird maybe, I know. – The good thing for sure is the people, where ever you go you always know at least half of the people when you’re out in the bar. Which makes it fun to stay out and have a lot of conversations and good talks in a spontaneous way. – The bad thing is that the sun is shining until like 3 pm. It’s kinda always dark in this village and that has a big influence on my photography too. So you really have to earn spots and be fast whenever you see an untouched snowfield while shooting skiers. Whenever you are in Engelberg – whats the first thing you do in the morning – and the last in the evening on a regular day? – I’m a coffee person, so definitely need a coffee first in the morning to make things happen, hehe. But right after it, I love to check out the weather outside and hope fresh snow and a beautiful weather. Then I get my skis and photo gear ready and go out there, creating. – The last thing depends on the day. On weekends I’m working in a bar called ‘Gade Bar’ at ‘Alpenclub’. After work, I mostly end up in a different bar with friends having a few beers. When I’m not working and come home right after skiing, I’m finishing some photo work. I’m a bit of a series and movie nerd, so ending up watching Netflix in the evening and falling asleep to it is pretty normal hehe. What is your Exhibition “The Snowreal Expo” about? – It’s my personal favourites I am showing off, from the past 3 years of skiing photography of mine. It’ll be abstract, maybe kinda different and I am trying to show off a style, something new. 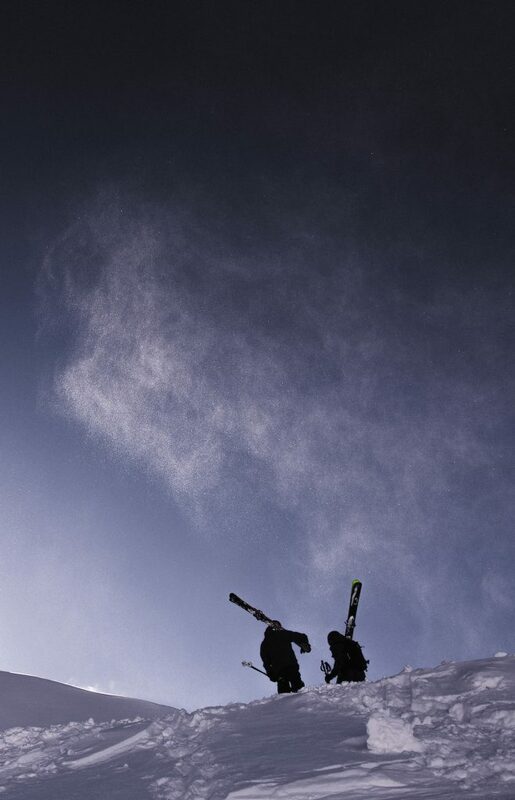 It’ll be combined with lifestyle and pure action, of the skiers I was able to shoot. Some pictures will not look real at a first glance. Because they’re edited. You see, I added pictures to the set which are edited in some way. They’re not looking very real but it’s only edited in colour. The message I wanna send to the people is, that editing will be a part of future photography, so use it. Do not fake your work, but create it differently. That’s why it is still real and that’s why it is called THE SNOWREAL EXPO. Where were the photos in the exhibition shot? 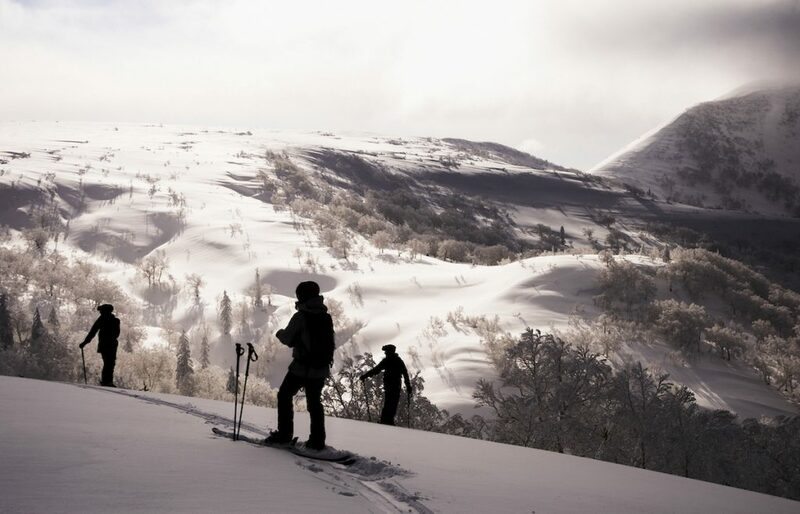 – Locations are: Oslo, Norway / Sölden (Audi Nines), Austria / Stubai, Austria / Japan (Hokkaido) / Engelberg, Hometown / With skiers from all around the world. Do you have any particular memories from this year whilst you were out shooting? On the top of your head? 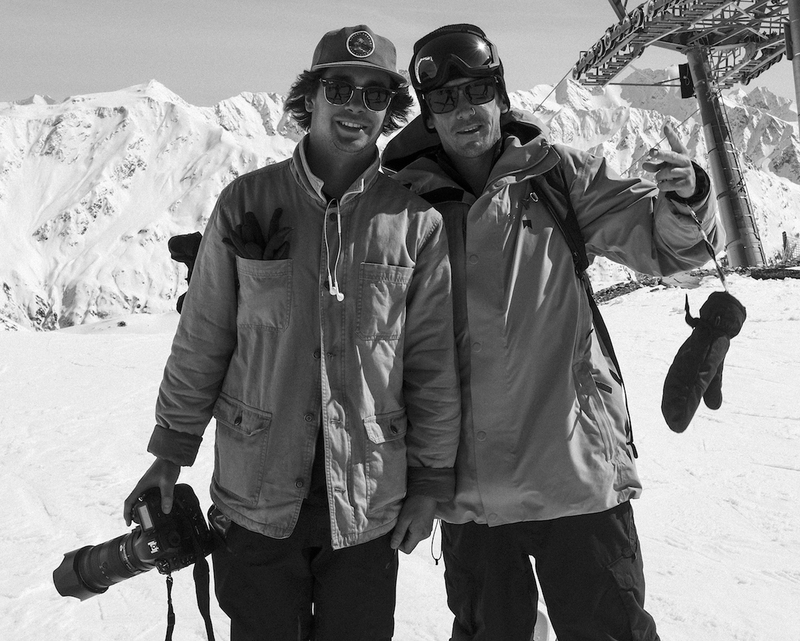 – One memory for sure is when I met Candide Thovex in Sölden. I’ve followed his skiing career since forever, and he’s definitely a big reason to why I’m out there skiing. At that moment, when I met him, it kinda felt ‘complete’ and reminded me about how many people I got to know already in a very short time. It also really pushed me to do more work and keep going.